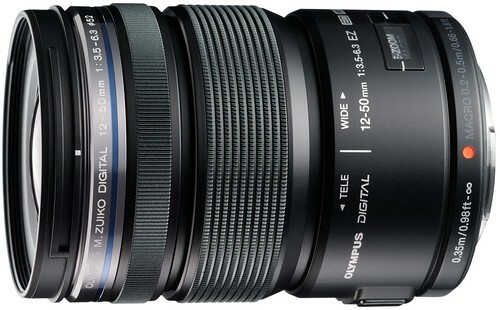 Being a m4/3 lens, the equivalent zoom range in 35mm terms is 24-100mm. Olympus E-M5 review (in Japanese) at Impress, featuring full-resolution image samples taken with the Olympus OM-D E-M5. Here’s another set of test photos from Impress with the EM-5. Full-resolution, official sample images, taken with the 12-50 EZ mounted on an Olympus E-P3. The filter thread size on the ED 12-50 1:3.5-6.3 EZ is 52mm, which means you’ll want to be looking at purchasing 52mm filters. Official Olympus M.ZUIKO 12-50mm EZ page at Olympus America. Olympus lenses — Main page.